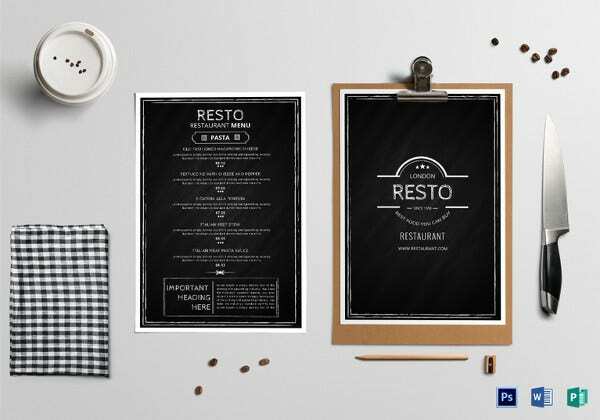 Restaurant Menu Templates – 35+ Free PSD, EPS Documents Download! 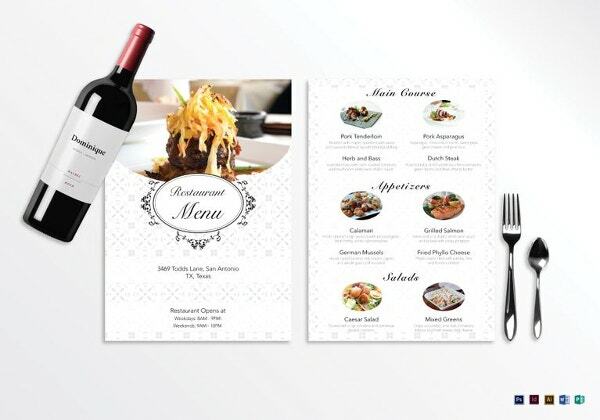 Welcome to the world of templates where you get perfect Restaurant Menu Design Templates for your culinary joints. 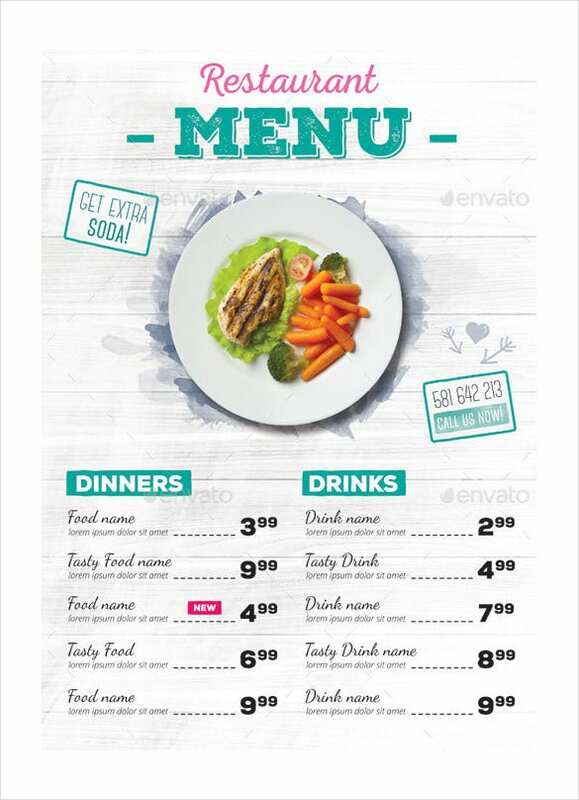 Some of the top templates can get you not one but a couple of menu options in one template with editable features and unlimited free fonts. The fonts are encased inside a free help link and can be easily used to customize and enhance the template. 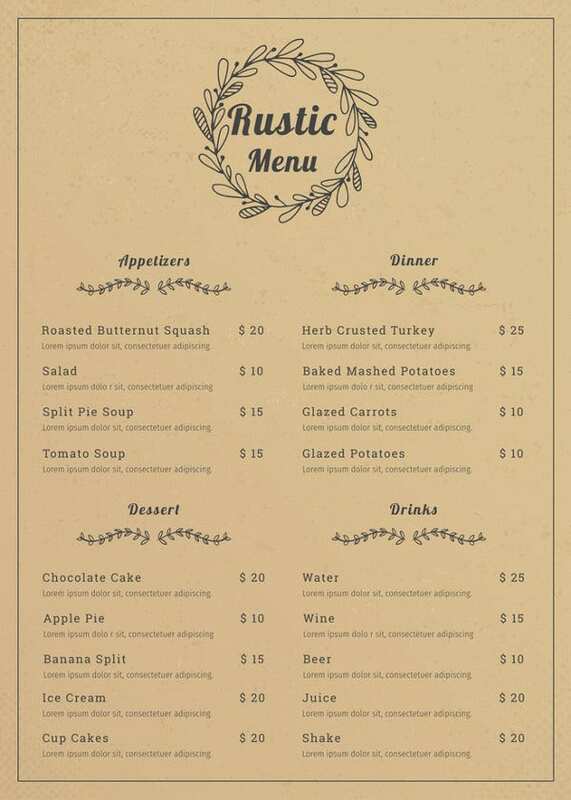 The two menu versions could be differently named such as the classy food menu or ‘an elegant food menu.’You can also see Dessert Menu Templates. The various downloadable and printable art work include A3 posters (adaptable to A4), Table Tents (130mm/200mm each side) and Personal Cards (90mm/ 50mm) too. 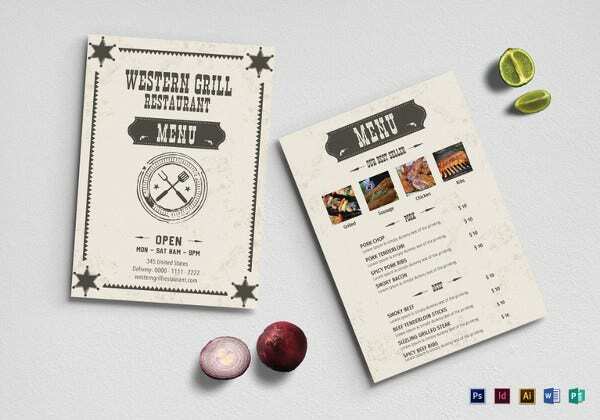 These premium templates come equipped with Graphic Files like Vector EPS and Al Illustrator. With minimum Adobe CS Version of CS3, they are layered and have print dimensions of 8.27/ 11.69. 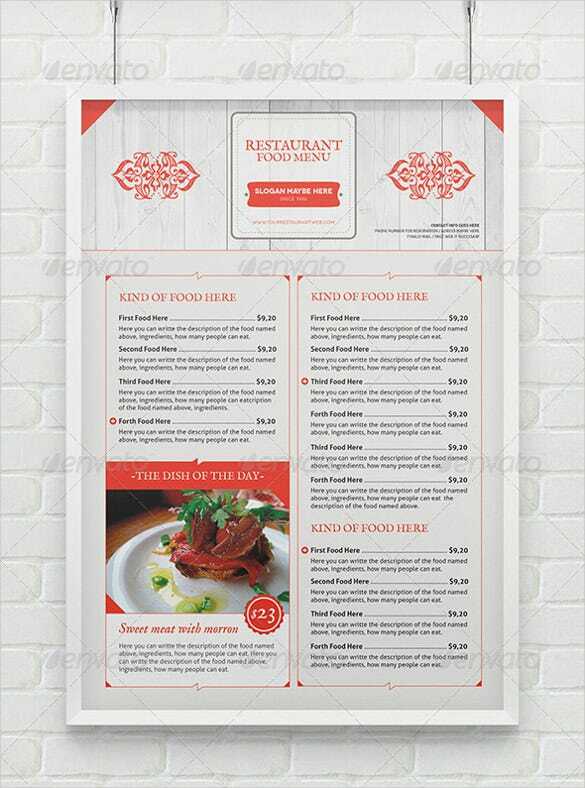 The user can inculcate endless texts very conveniently and use these Menu Templates judiciously for his outlet. 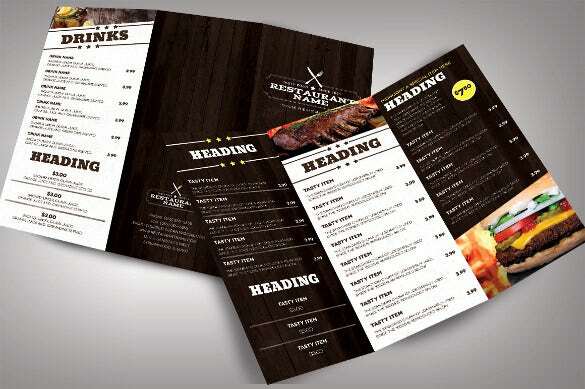 It is also possible to include images which will further make the menu look extremely eye-catchy. 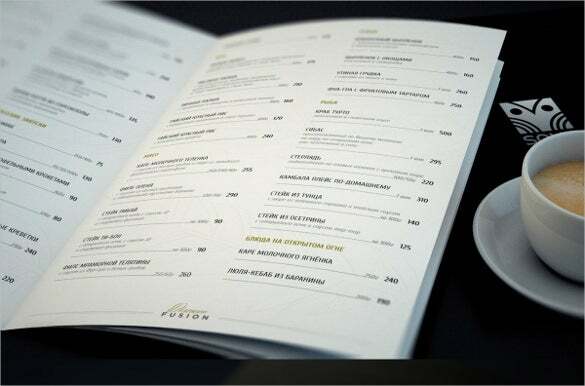 This elegant is an excellent example of how a food menu should look like. 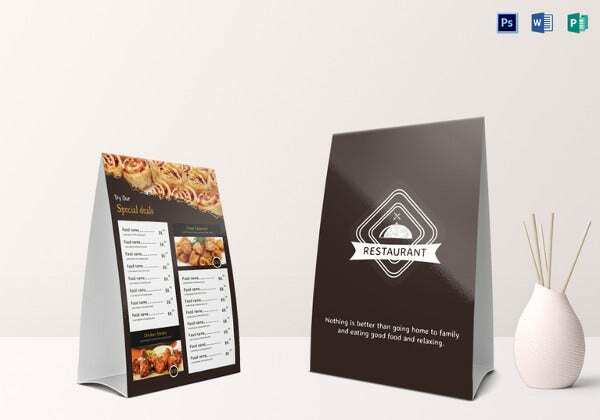 The PDF file has a place for slogan, slot for kind of food and space to fill for example of food finally a space for the food of the day. 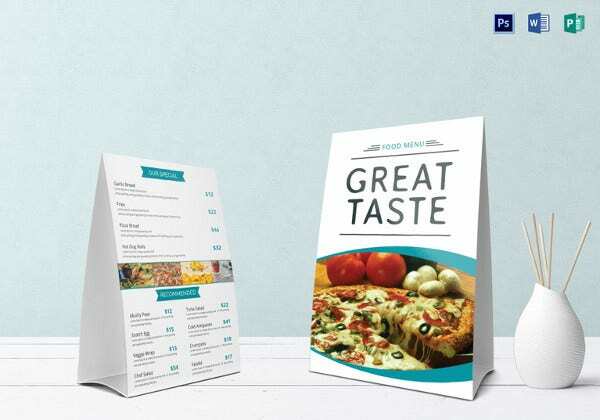 This Word template shows the covers of a well designed menu. The front shows pictures of different foods served in the restaurant. 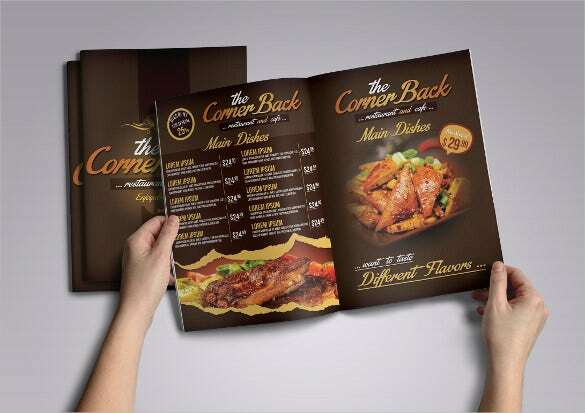 At the back it has a map showing the restaurant’s position and contacts. 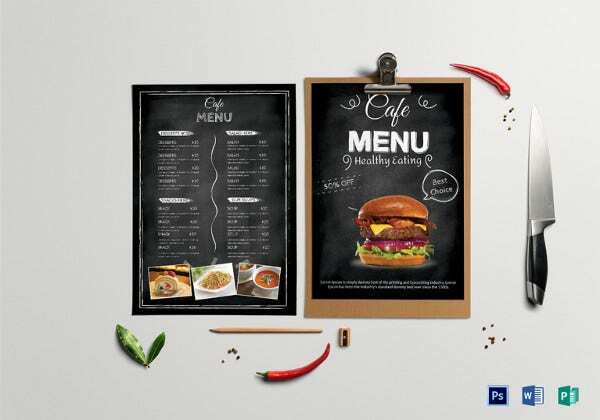 This black and red menu has three categories of food shown that is breakfast, salad and sandwich. 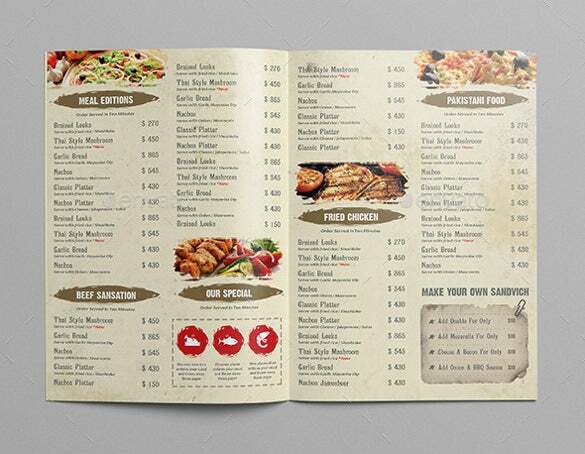 The Excel file also shows picture of salad, a bugger and a sandwich and their prices in alternative colors. 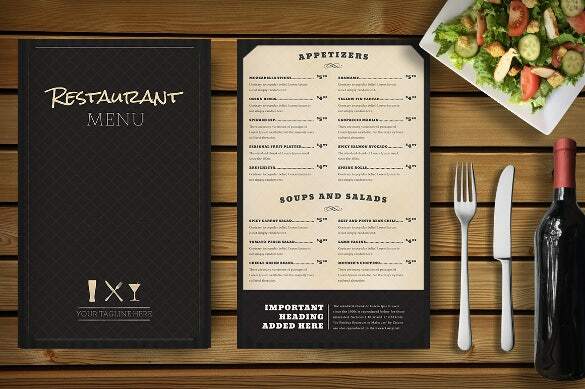 This menu has space for the name of restaurant, appetizers, meals, soup and salad. 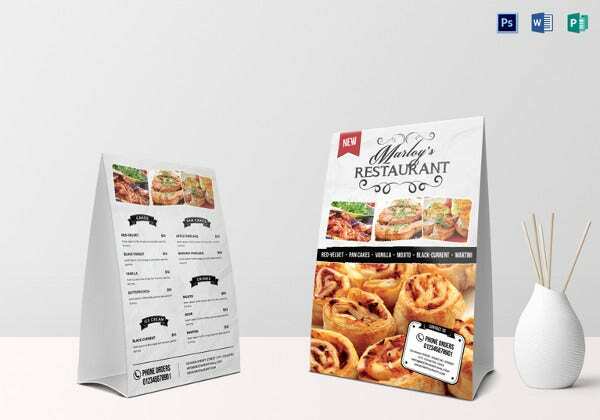 The PDF file format also leaves space for the restaurants contacts and accompaniments and the prices of the food offered. The Excel file format menu comes with dark brown and white color with alternative corresponding colors in each. 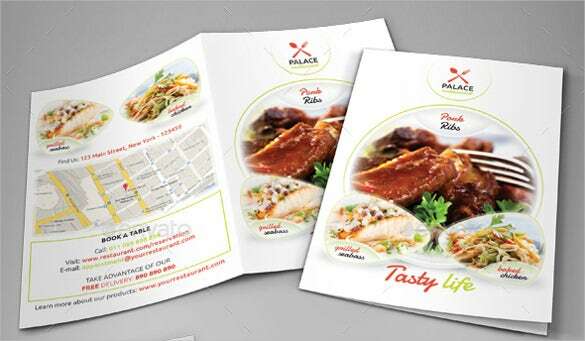 It leaves space for the restaurant name, headings for food type and drinks and picture of food. 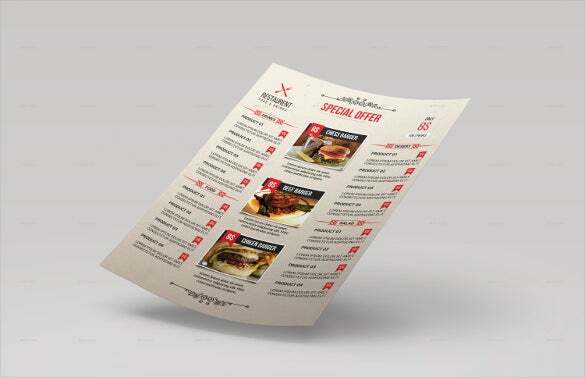 This Word format file is for people seeking space for their special offers in the menu. 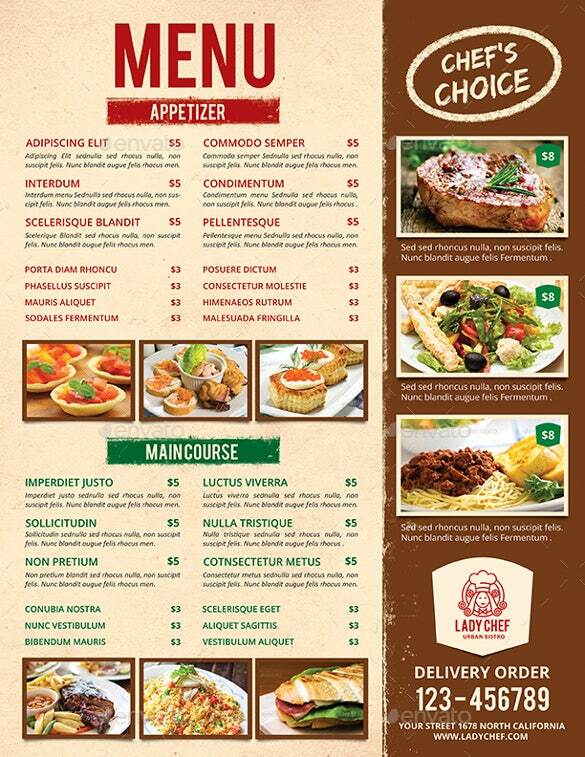 It showcases the pictures of the foods in offer in the middle and the other categories on each side with prices for each. 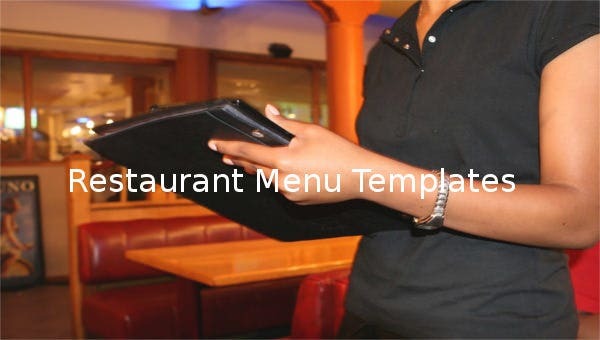 The PDF template comes with a menu accompanied by a motor and pestle, a pans and spices. The menu has five different segments where you can arranger the type of food to be served in your restaurant. 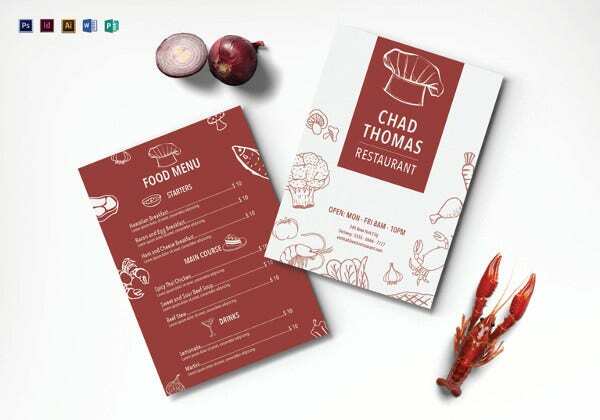 Having different dashing colors is a menu with style and elegance. 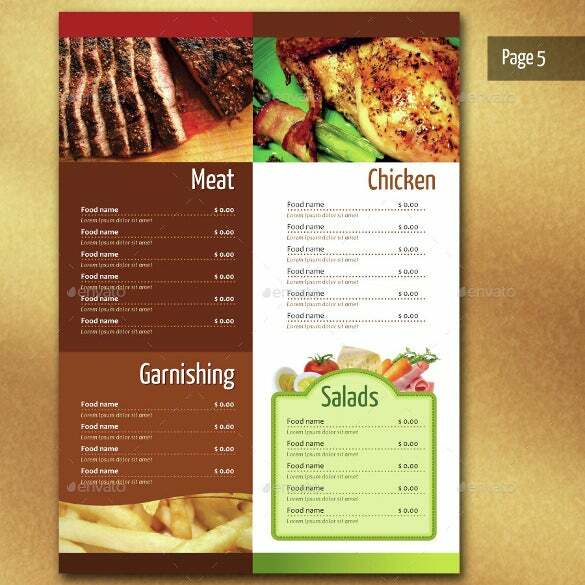 This Excel template that incorporates meat, garnishing, chicken and salad as the meals served together with the picture of each meal. 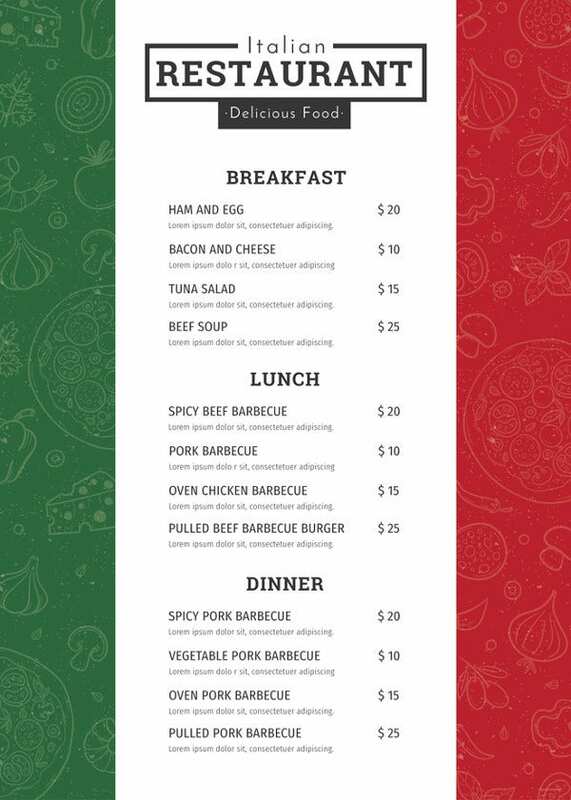 This menu is no less than a written chalk board as it suggests. 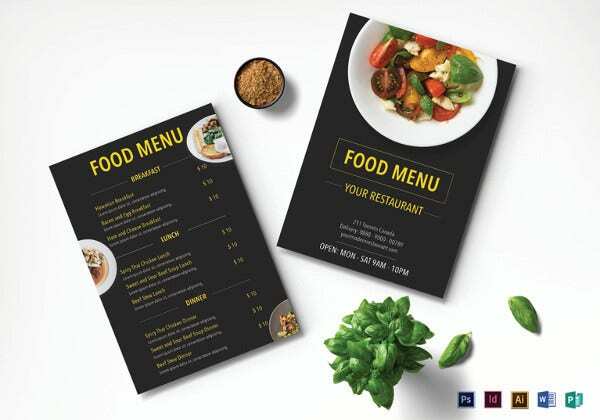 The Word format file has a black background with white headings written in black, that is, salad, pastas, pizza, entrees and signature sides. 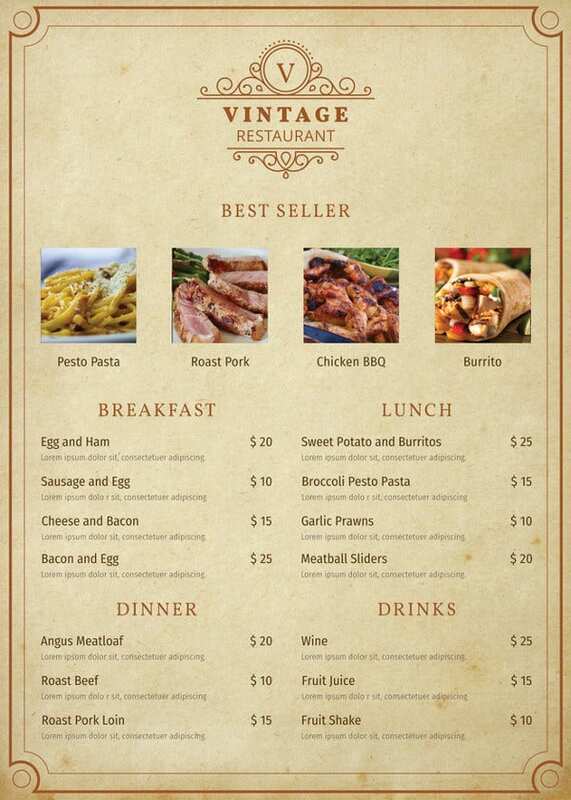 This menu has a dark brown cover color with the word restaurant in light brown. 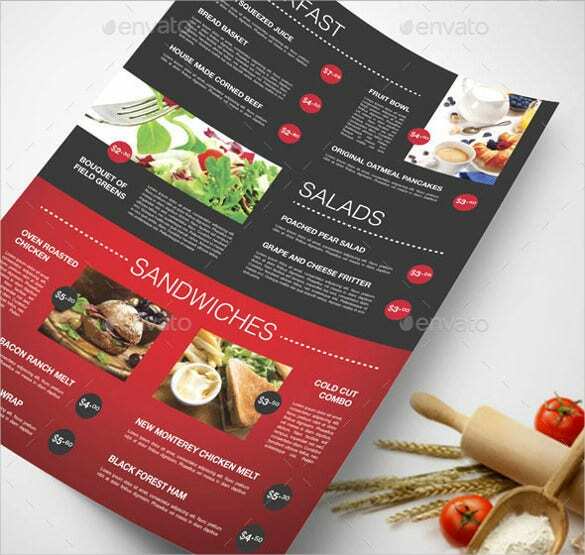 The PDF template contains appetizers, soup and salad. It has a segment where important headings are added. 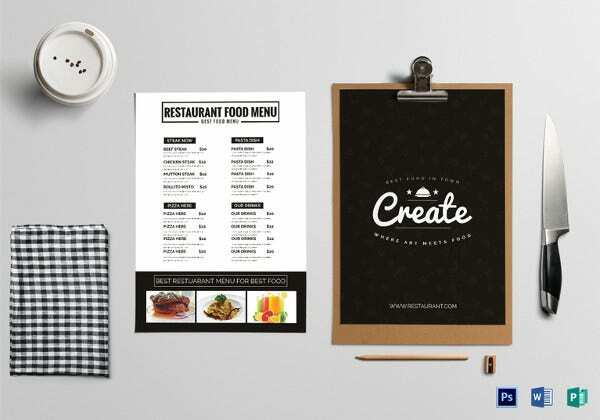 The logo used in the templates can be edited according to tastes and looks best with unique texts and graphics. 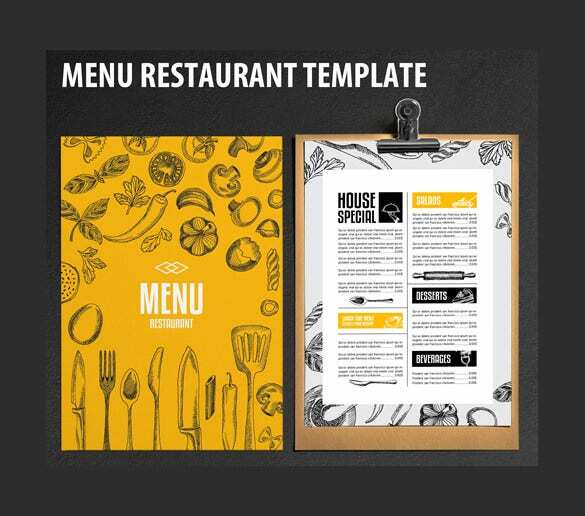 Additionally, you can find templates that are absolutely print ready. 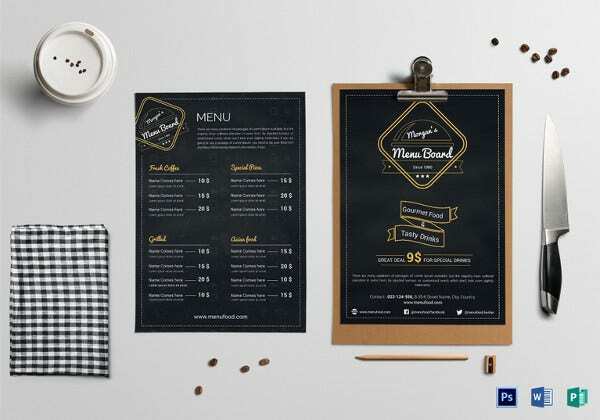 Some of the assorted varieties of menus possible with the templates include the Classy Food Menu, Multimenu Template, the Coffee House Identity, Vintage Food Menu, Modern Food Menu and even Healthy Food Menu. You can get all the amazing options in colors of your choice. 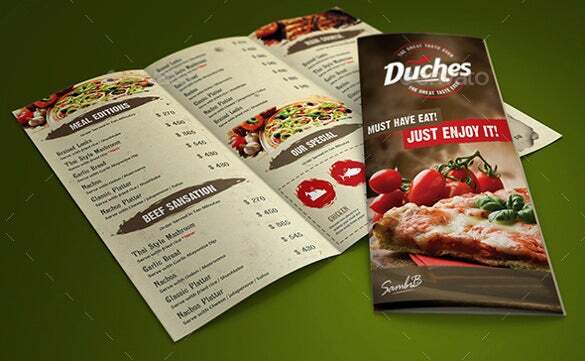 It is possible to design flyers too for advertisements. 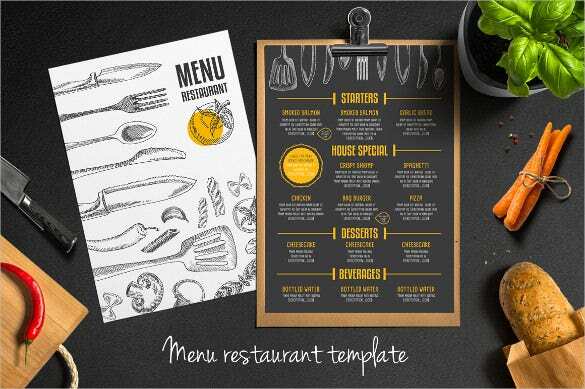 Get ready to sizzle with these terrific templates.